Working part-time is not only an option for busy mothers or students. If you are trying to save money for a particular project you have in mind or you want to gain new experience and increase the level of expertise in some area, employments of such type can be your best decision. The only problem left now is that you might not realize where this search should start. To help you in this situation, we would like to create a guide that will teach you how to get a part-job you always wanted in five simple steps. We know that job search is often associated with stress and tedious resume crafting. However, with our simple guide, all you will need to do is follow the tips and enjoy the results they might bring into your job search. So, get ready to learn some fantastic truth and get the job you always wanted. Everything starts with a good resume. It makes the first impression on the potential employers and either gets you the job or leaves you without a chance to get one. There are many things one must take into account when crafting a good resume, and if you ever searched for job before, you probably know all of them. You should be ready to customize the resume and tailor it specifically for each and every individual company out there. But if you do not want to deal with this at the moment, you can find a resume editing service, send them the basic resume you have and let them do their job. You will be satisfied with the results and the potential employers will get to see how perfect you are for the position thanks to the professional approach of the resume writing service. For some reason, most people believe that big businesses is the place to look for jobs with flexible hours and an opportunity to work remotely. However, the truth is that it is the small businesses that have around 50 employees that are more likely to offer you a job like this. On the contrary, big companies can offer you different perks and money-related benefits which is rarely the case for the small companies. So, if you are looking for a place with flexible hours, then consider checking out small businesses in the neighborhood. You will find them without problem in the listings of local businesses as well as on the Internet. There is hardly anything more powerful than the networks we all have. These connections can be of much help to you in the process of looking for a job. Thus, make sure to send out resumes to entrepreneurs you know and ask them whether they openings or whether they know people who are looking for a new person to join their team. Not only you have higher chances of getting your job through someone you know, but also you can ask people “to spread the word” and waste less energy in the meantime. Unlike the regular job search where you do everything on your own, here you can rely on other people and enjoy the results of their help and care. So, why not trying the network help? It probably is not something you expected to see on this list, but we recommend trying this out. Is there anything you are particularly good at? Can you cook or play some instrument? If so, then you can give lessons or deliver read-made food to offices. Alternatively, you can print on shirts, write articles, or translate if you have the knowledge for it. If you take a closer look at the skills you have, you will be able to find something you are particularly good at and can turn into your own small business you can do part-time. Even if they do not have an opening, the fact that you sent them your professionally crafted resume will make them remember you as a proactive candidate. Do not shy away, but make a list of companies (preferably small ones because of the reasons mentioned above) and send them your CV with a short cover letter explaining your interest and how you can contribute to the company. You might be surprised but this method works. So, we recommend you trying it out. 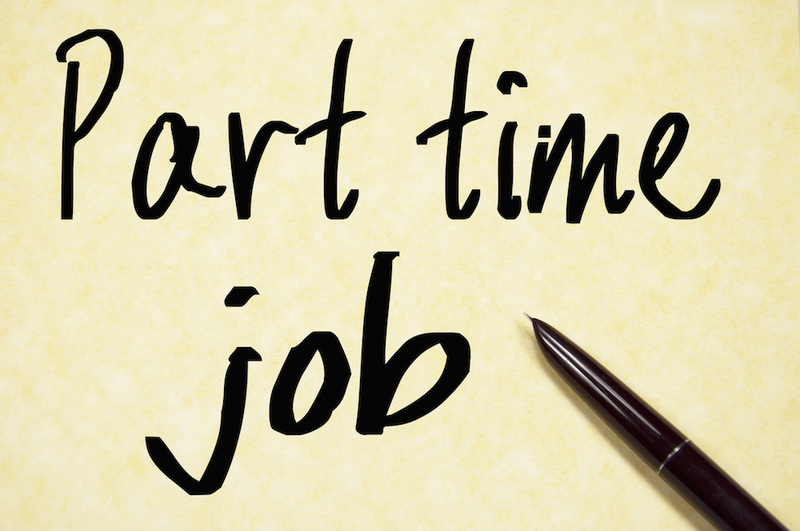 Getting a part-time job is a good idea if you need to pay the bills and what you are doing now is not bringing in enough money. Besides, it is a perfect way to add good qualifications to your resume and make it more impressive than it is right now. So, if you are thinking about this step, then follow our tips to increase your chances of getting the job. Charles is a career mentor, motivational speaker & human resources consultant with over 10 years of experience in HR sector.Apart from career mentoring, he loves photography and football. Find him on Linkedin Twitter, Facebook & Google+. It might not be that hard to get part time jobs. A lot of freelancers opts for this and a employee with Saturday and Sunday holiday, you can go for content writing work. The pay is good.